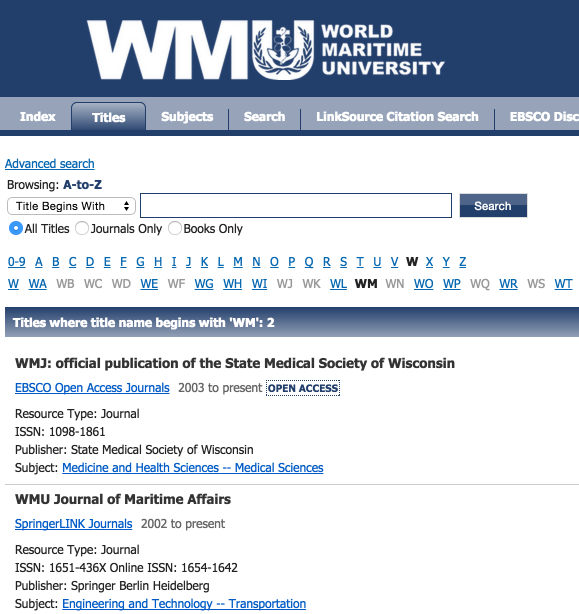 More than just a simple journal listing service, EBSCO A-to-Z is a powerful locator tool that helps researchers to discover all of the electronic resources offered at the library. It can be thought of as a more complex version of Publication Finder. Users can Browse through scores of thousands of titles, as well as search titles subjects and ISBN/ISSNs in basic and advanced modes. The LinkSource finder offers a full complement of searchable data fields to help users search more precisely for articles, chapters, conference papers, etc.